Whatever your moving needs may be, Meathead Movers will help you feel at home in San Leandro Movers. Our professionally trained student-athlete movers and our moving concierge will be with you for the entirety of your move to San Leandro Movers. 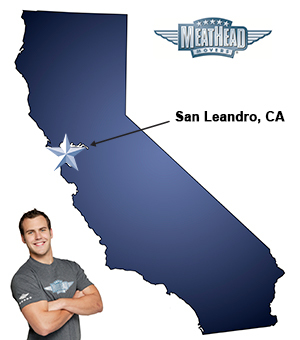 Welcome to Meathead Movers of San Leandro! If you are moving to or from anywhere in San Leandro, we are the moving company for you! Our professionally trained student-athlete movers and our move concierge are here to help you with every stage of your move in San Leandro. San Leandro is a charming city in the Bay Area that draws families in with its serene beautiful neighborhoods and abundance of activities. Founded in the 1700’s, San Leandro has a rich cultural heritage and is also famous for its delicious cherries. Every year the city hosts a number of festivals including their popular Cherry Festival. The city also has a huge Marina, two golf course, a large community library, and many city parks. If you are considering moving to San Leandro, Meathead Movers is here to help. Our moving company specializes in local, long distance, and commercial moves to, from, and within San Leandro. We also provide reliable packing, storage, on-site relocations, and our distinctive moving concierge service. All our student-athlete movers are thoroughly screened and trained before their first move. With branches not just in San Leandro, but all throughout California, we are your one stop resource for all your moving needs. In fact, you can see what your neighbors in San Leandro have to say about us! With our 100% satisfaction guarantee, the only thing you have to lose is the stress that comes from moving! Contact Meathead Movers today for a free moving quote, and learn how we can help you on your next move! Moving to San Leandro? Here are some helpful resources. View more San Leandro resources. Very professional, lots of attention pre-move, good service.